"With the introduction of the mirrorless Z 6, Nikon has adopted one of the best-performing full-frame 24 MP BSI-CMOS sensors. At base ISO, it has very good color and a wide dynamic range; additionally, the sensor has outstanding dynamic range at mid-ISO settings, and has particularly good low-light performance at high ISOs." 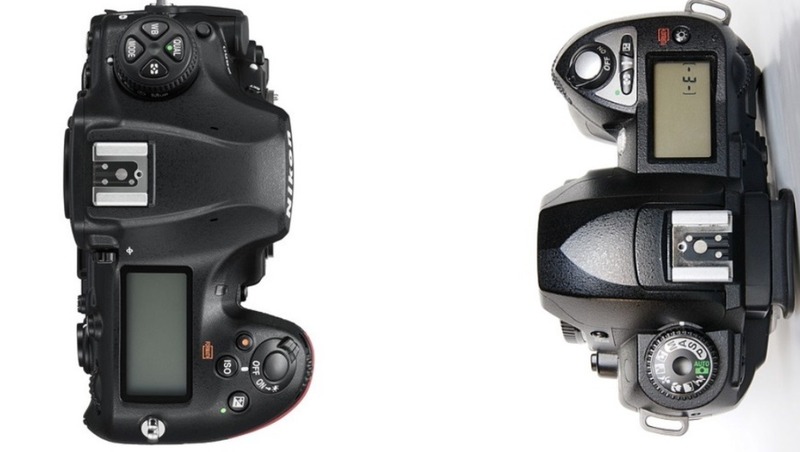 the Z 6 is only slightly ahead of the sensor in the 2014 Nikon D750. That made me sit up and look at DxOMark's dynamic range performance charts. These measure dynamic range ("the ratio between the maximum and minimum measurable light intensities") throughout the ISO range and give a good idea of how well the sensor performs in low-light at a range of ISO settings. They should also be used in conjunction with DxOMark's ISO rating which allows you to rank the sensor against others, but is less granular in the information it presents. If you compare the Z 6 to D750 then it performs marginally better. The D750 remains a current camera in Nikon's line up, so it made me wonder, given the slight gain in sensor performance since 2014, what other cameras might fit the bill. The Nikon Df, also a current camera, dates from 2013 using the highly regarded 16MP sensor from the D4. The performance is on a par with the Z 6, although has a mid-ISO pickup. In short it also has great low-light performance and was class leading when it came out. Following through with Nikon's current line up leads to the D850. 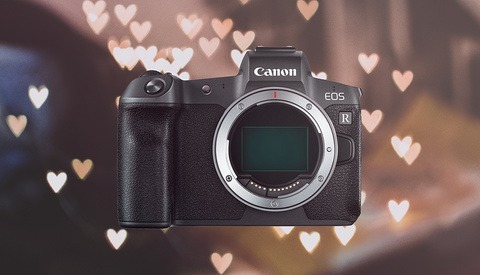 Currently class leading, the low-light performance is on a par with the best competing cameras, however the resolution and dynamic range are highly rated. The downside? It's expensive at $3,300. The D850 is a relatively new model, with it's DNA founded upon the D800 and subsequent D800E and D810. An examination of DxOMark's reviews for the sensors in these cameras shows that there were marginal gains between models. The D800E canceled the anti-aliasing filter, whilst the D810 employed a new sensor design at the same resolution with the AA filter removed. Improvements were gradual. In one of my previous articles I postulated that Sony had been developing a new marketing strategy based upon offering sensor variants of the same camera, and then continuing to sell older versions of the same model. Rather than cannibalizing their own sales, I believe they add to them at the expense of Nikon and Canon. If you can't afford an a7 III at $1,998, then why not an a7 at $798? If Nikon had carried on manufacturing the D800, D800E, and D810, how much would they cost, as price now becomes the key differentiator between them? We can't know but the secondhand marketplace is a good proxy and the trade-off between age, condition, shutter count, and model strikes a balance with prices for well used models starting at around $700. Buy secondhand to take advantage of someone else's depreciation and upgrade more often. I've opted for three. How do you upgrade? Parts of lead image in the Public Domain via Wikimedia. #2 for me. Went from a D810 to a Z7. I always sell the old stuff to help fund the new because don't need multiple cameras and know I will never use the old once I have the new. I own a Canon camera so anything would be an upgrade at this point. Wish there was a laugh emoji for this one. I'm in the same boat. I recently "upgraded" my kit to a Nikon D800e and so far my clients love the results and could care less how old the camera is. I'll stick with my old 5D and 5D Mark II and just keep upgrading the glass, I'd rather put my money there than fancy whiz-bang bodies with more features than I'll likely ever need. That's good in theory, except that mirrorless glass tends to be better than their DSLR counterparts both on Canon and Nikon so in reality you're upgrading your glass to stuff that's inferior to what's coming out. Even when you adapt the older glass on the newer bodies, the results are optically not as good as native glass simply due to the limitations of the design. Well there's no 100-400mm to upgrade to in the mirrorless realm unless I go with Sony, so I'm a bit stuck in that regard as it's the lens that I'm currently eyeing. Considering I'd have to change systems to Sony and also pay the Sony lens tax to get their version, I'd rather just stick with the less expensive Canon EF-mount model and adapt it when I inevitably bite and get a mirrorless body. Plus there's so much used/refurbished DSLR glass out there now, it's easier on the wallet from that angle as well. I was mainly saying it as a general rule. I would agree that investing in glass is more important than investing in bodies, but we're in a weird time where the glass that you're investing in might be for a system that's going to be phased out and forces optically inferior designs. Obviously, if you need it now, then you don't really have a choice in the matter. You're right about the glass but (let me put my econ teacher hat on for a moment) you have to thing about the marginal cost vs the marginal benefit. I'm still shooting the 5d mkii because every time I have an extra 1000 euros or so to buy gear with, I ask myself what's the most photography improving thing I can get with that money. It's usually some sort of glass that, while maybe not the best, is still the best technical improvement that I can get for $1000. For example, I recently picked up a used 100-400 L, first generation, for $700. Upgrading to an EOS R with that 28-70 f2.0 might make "better" images (ignore the focal length issue for the moment, and my limitations as a photographer) but that setup costs around $5700 here in Germany from a reputable dealer like Calumet. That's 8 times the cost of a used first gen L lens. Is it 8 times better? This is particularly salient since the weakest link in my system is, frankly, me. 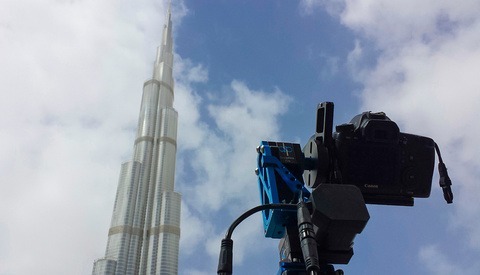 When you consider the sort of photo expedition you could go on with that money, it makes even less sense. I can either get the EOS R and the 28-70, or I can buy a 100-400 L lens and go on a Safari that costs around $5000. I'd rather have some very good photos of elephants in the wild than some photos of the local chemical plant that are 0.01% sharper. For professionals there are other considerations of course. I've made some money from my images, but it isn't my main concern. 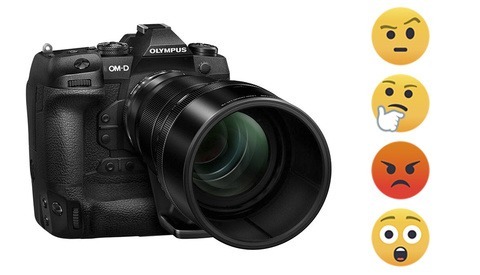 Well if you're going for value, it's difficult to argue against DSLR equipment right now. For me, even if it's just a picture of my kid, the way I see it, every single moment is a singular opportunity to take a photo that you'll never get back. I'd rather take it with the best gear that I can afford because for me, it's as much about future-proofing your images as it is about anything else. The biggest benefit I'm noticing after switching to the Z7 is not in the body or sensor, but in the quality of the Z-mount lenses. It's pretty absurd how much better they are than their F-mount counterparts. Still shooting with a D810 as my primary body, and always brought along my trusty D700 as my backup. I was starting to feel that I needed to upgrade something, as the D700, while a wonderful camera in its time, was getting a bit long in the tooth. Just a few weeks ago, I upgraded the D700 to another D810. Mint condition, 26K clicks, clean as a whistle - for $1350 including 3 batteries and a Nikon MB-D12. Killer deal. And I love only having to take one kind of battery and charger with me! I did think long and hard about spending a little more $$ for the Z6, but ultimately decided to spend less. Anyone interested in a low-click D700 with an MB-D10? Still very happy with my d800, which I purchased new when it first came out. And, its raw files work with Photoshop CS6, so I don't need to rent post processing software either. Lol! I tried to install cs6 on my mac and it’s throwing errors, won’t install and messed up my current installation. Which OS are you using? Windows 10. I've owned CS6 since it came out (and before that CS4), still very happy with it, it has worked on each computer and iteration of Windows since I got it. I bought the D800 when it came out, and it was killer. Years later it's still a workhorse. While there are some nice features on newer cameras, the overall package is not exponentially better (at least for my shooting). While I would love something shiny, and new, it's hard to justify when you have something that works really well. I do not understand the numbers as this is the first time I have looked at DXO but I just picked up a secondhand D610. I needed a good, compact DSLR that would act as the companion to my F4. The D610 can take all of the lenses I use with the F4 and compared to the Z6 (if the numbers are to be believed), seems to hold its own. Sub $700 for a body that had around 4000 clicks. I am very happy with my decision. I just jumped to full frame in dec and got a D800 from a camera store in Montana. At around $900 and 12k shutter accuations it is hardly broke in and should last me a decade and a bargin to me. It is a lot like buying a new car or a 2 year old one. Let someone take the first hit on depreciation it is only brand new until you use it. My D810 died on 40k+, and d800e died on less than that. So not sure about decade... but it all depends on your pace. Lol. Its all numbers on papers in tests. It really might be all true if you shoot landscapes or stay in mid-iso range, not going higher than 540 f.ex. But again its not all about the sensor, right? I owned all of the mention above till D850.d800e and d810 was basicaly identical, but camera perfomance was different slightly. d810 buffered better, felt somewhat more stable. also better af in low light. on first glance might be not much different - but when you actually do retouching, there is a difference and become apparent the further you go. its all very personal, but from my experience d850 sensor and files are so good i am thinking of getting rid of my sub a7r3 for z6 (dont start me on z7). dont buy d800 second hand(d800e and d800 shutter dies pretty quickly - reason i upgraded to d850, both died just in time for d850 release). oh, you already did? Fortunately we have so many great choices these days, you can hardly go wrong. For me, it’s all about downsizing for travel while maintaining functionality and quality. I typically buy used, but decided to take advantage of the recent trade in offer to pick up a Z6. I was lured by the size, IBIS and focus peaking. I’ve been able to hand hold with my old MF primes at insanely low shutter speeds (e.g. 105/2.5 @ 1/10sec). Couldn’t be happier with the purchase. So far I've been a combination of number 2 and number 3. I just did the trade up to Z program where I swapped a D5500 (which I had bought refurbished) for the Z6 (which I plan on sticking with for more than 5 years). I'll probably end up more in the number 2 camp, as that's generally how I handle any sort of large purchase, from appliances to cars, so why not cameras? I am still using a D800 too. In addition, I am using a D300 a lot more. I used to shoot entirely in raw, but now I find that shooting jpeg with a D300 is ideal for a lot of event work that I find myself doing. #3 is typically how I operate. Most recently in fact, I upgraded by adding a 1Dx in stellar condition as my primary and put my 5DM3 on the reserve list. My 5DM3 needed repair from CPS and I debated getting a new 5DM4. I think buying pre-owned has advantages, just like with vehicles, and allows you more cash liquidity in case your preferred brand releases something earth shattering that doesn't fit in your scheduled upgrade timeline. 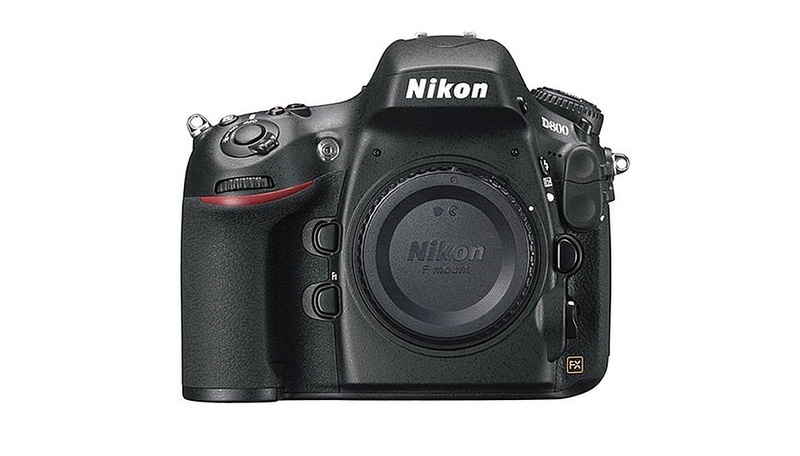 Would luv to get my hands on the Nikon D700...one in excellent condition..Low light Beast.. I just bought a D800E after reading this story and agreeing with it completely. I got a mint condition Nikon D800E with 80k shutter count for $800. I mainly use my two workhorse Nikon D4s bodies, but this camera will complement them very well. I don't see myself switching to mirrorless for many years to come, as Nikon has no Pro-level body yet and the autofocus tracking is lacking. I am a photojournalist who shoots sports and news stories and for me the Z camera's are just not there yet.